Make this work for me please, I will be home in 30 mins. Detailed receipts are something I definitely expect from Monzo when an open API is available for the data. If you could throw this into Monzo Labs, that would be excellent! 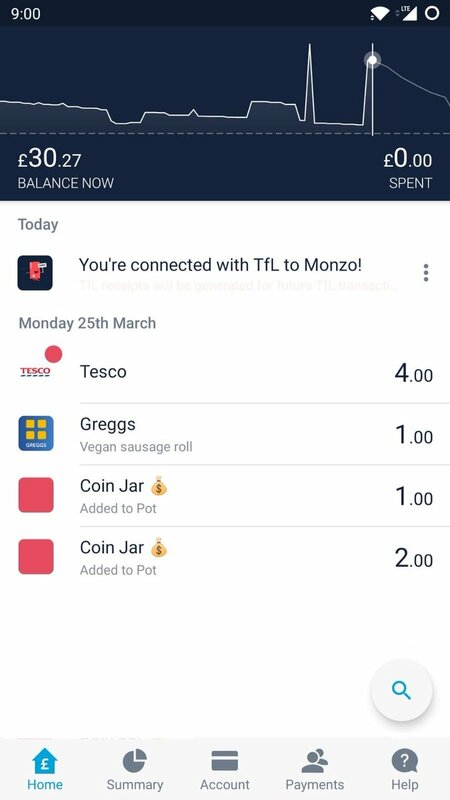 Without looking too deep, this appears to be an external app designed to feed receipts through the Monzo receipts API. As such, it won’t be compatible with Monzo Labs as that works with in-built app functionality. This would need releasing as a separate installation of some sort. I have no idea what platform it runs on (because I haven’t looked). Saw this on Twitter (retweeted by @simonb) and it looks rather fantastic! Flux will definitely be all over these guys soon! Is it working yet I can’t see how to set this up? Which of my children do I need to sell to get my grubby Hands on this. @akash Make is so, pleaseeeee make it so1!!!111!!111!! Thanks so much for the interest in our application! A few people have asked how they can enable this and I just wanted to make it clear that this is not an official integration but something that was made using the developer API Monzo provides. While our application does support multiple accounts, the API is only meant to be used for your own account or a small user of users that have to be whitelisted to use the app. In its current state, the app is not suitable to be used more widely unfortunately as it was created as a coursework project. 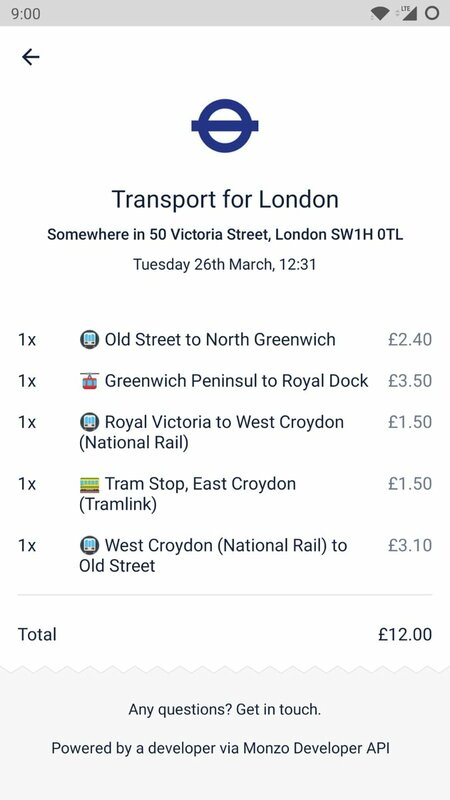 If anyone is interested in how this was made, I can confirm that it involved web scraping the TfL website using a Python script and using the Monzo to push this data to a TfL transaction. I am very interested but last time I tried something like this the other day but I got stuck on Python (Mac). Are you willing to put the source for this on GitHub? Given the API isn’t currently supposed to be used beyond a few users at this stage it would make more sense for those wanting this to host their own copy. You might need to spend some time learning how to use Python then. It’s a wonderful programming language and I highly recommend it as it’s great for beginners. 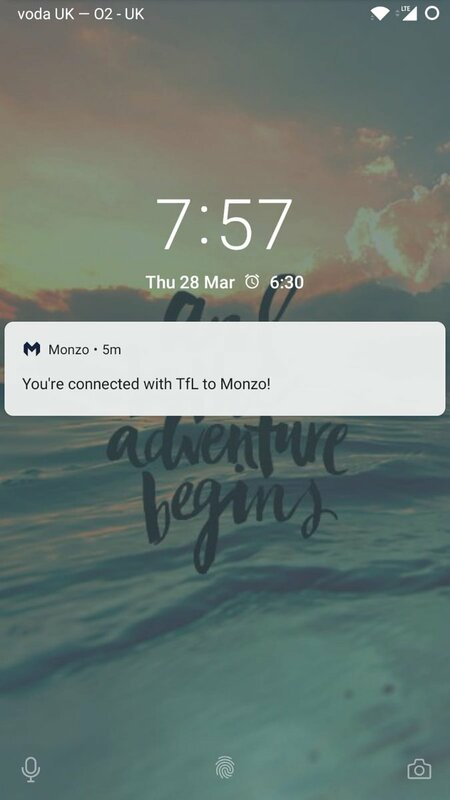 The app is meant to run when TfL transactions are created on a Monzo account so it only fetches the data from TfL when this occurs. At the moment we’re not looking to put the source code up on on GitHub publicly as we still need to submit this for our coursework. Also there are a number of edge cases that have not been properly tested that could cause issues with receipt generation (for example incomplete journeys where you forget to tap out) and lead to other issues we haven’t tested for yet. Taking a quick look at TFLs API docs it doesn’t look like they support accessing user data ie: logging in and accessing a users data via OAuth or some other means. Understandable. Would be good to see this when you can though, more people working on it would certainly help clear those edge cases quicker! I was going to build something similar, then realised that scraping was necessary and after looking at a few npm packages that did it for you, it was clear that TfL often make break changes to the oyster website! 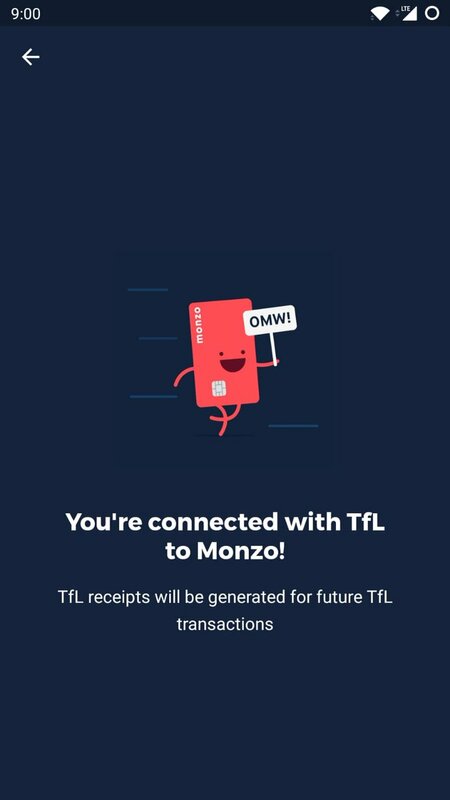 Would be great if Monzo could work with TfL and other travel companies in the UK to provide this natively.